We've all enjoyed the beauty of Scotland during the day but how many of you have taken the time to observe Scotland at night? You may think you see nothing in the dark but if you look up on a clear night you will see pure magic. 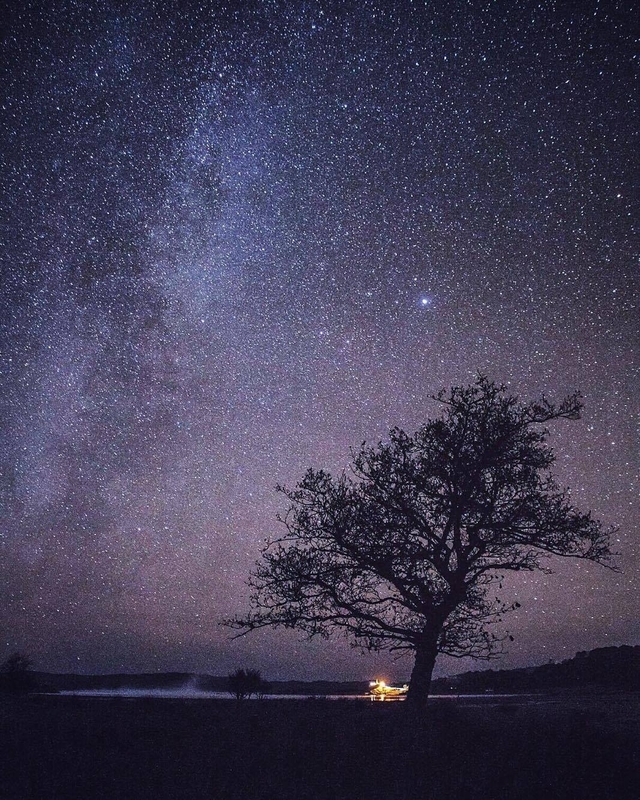 Scotland has some of the best dark sky spots in Britain which makes it perfect for viewing the stars. There's something really magical looking up at all the stars, especially if you are lucky enough to spot a shooting star, and its great fun trying to spot all the constellations, if like me you're not overly familiar with the positioning of the constellations there is plenty of apps out there to help you. Spotting the Milkway is also pretty impressive and although the Milkyway can be seen all year the best time to see it in Scotland is between April and September. However, my favorite feature of the night sky in Scotland is the illusive Aurora Borealis, I've only seen it a couple of times but it truly is an awe inspiring and unforgettable sight. This shot was taken in Argyll and on this night the Aurora was pretty strong but in general the further north you are the chances of seeing the spectacle increase. So I would highly recommend grabbing all your warm clothes one clear night and heading out to the country to find some dark skies, I can guarantee you will not be disappointed. Here in Aberdeenshire, our local National Trust for Scotland Castle, Crathes (which can even be reached by bus) partners with Aberdeen Astronomical Society to run taster evenings to Star Gazing. These are great evenings - enthusastic experts with telescopes etc for folk to learn about and indoor presentations if the weather is poor. Does anyone know of anything similar for beginners in other parts of Scotland? 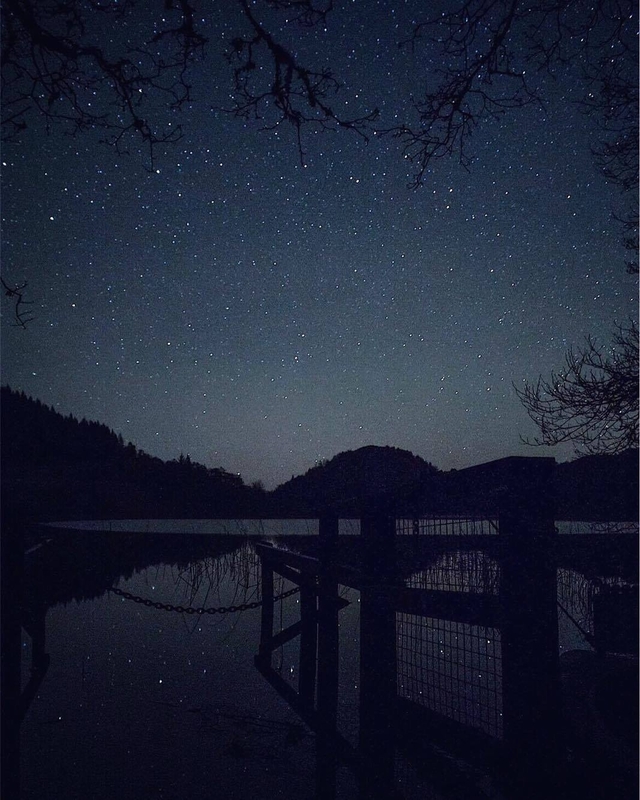 This is a super post @eilidh__cameron; I love talking about the stars and our place amongst them, so to be able to snap them and share that experience is kinda powerful. 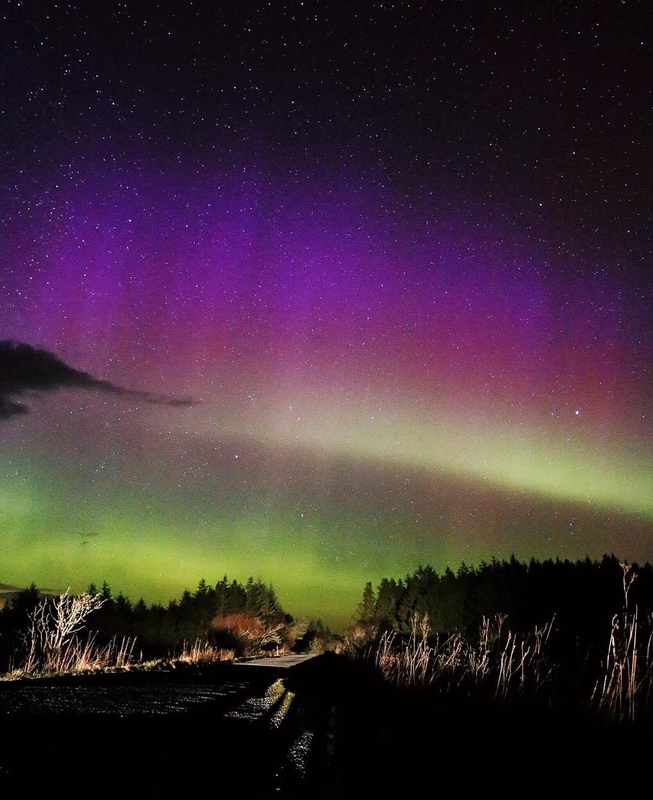 A few hopefully-helpful hints for those who want to get into taking photos of the stars and night sky..
Aurora Hunting help: I'm generally in a state of heightened alert for possible Aurora any time I'm in the North of Scotland. There's an app called 'Aurora Watch UK' which I recommend downloading if you're in with a chance of some dark skies, or up North. It'll send you a push notification if Aurora is present. 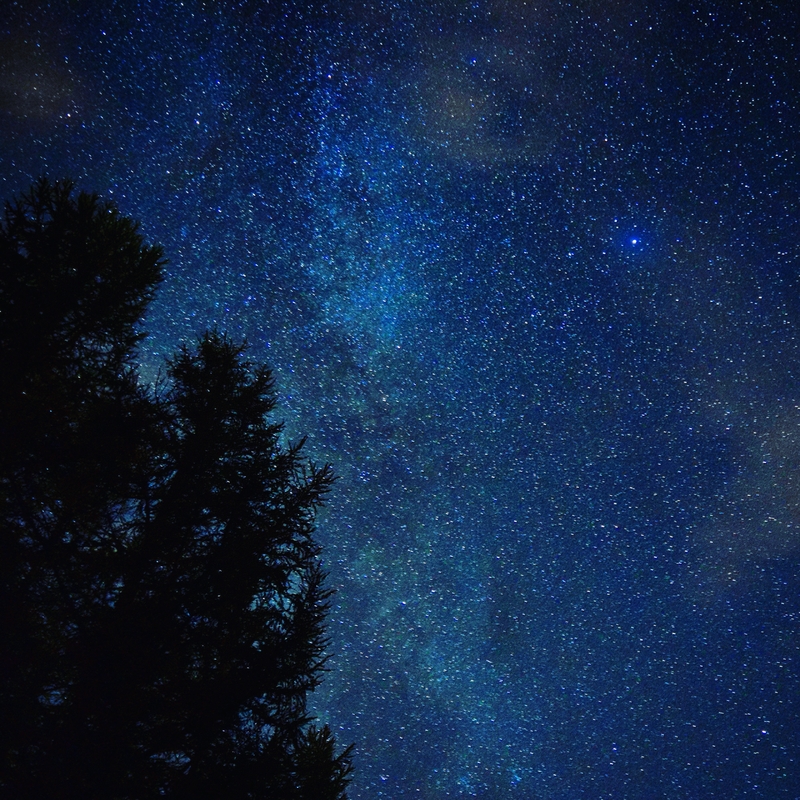 Star Gazing help: Another little tip I have is to download a star gazing app for your smartphone.. There's a free one I use and it can be very useful when looking for the Milky Way, Polaris (which has been integral to me taking spiralling star trail photos in the past) or other constellations. @Scathach - I can't wait to visit the Dark Sky Park. 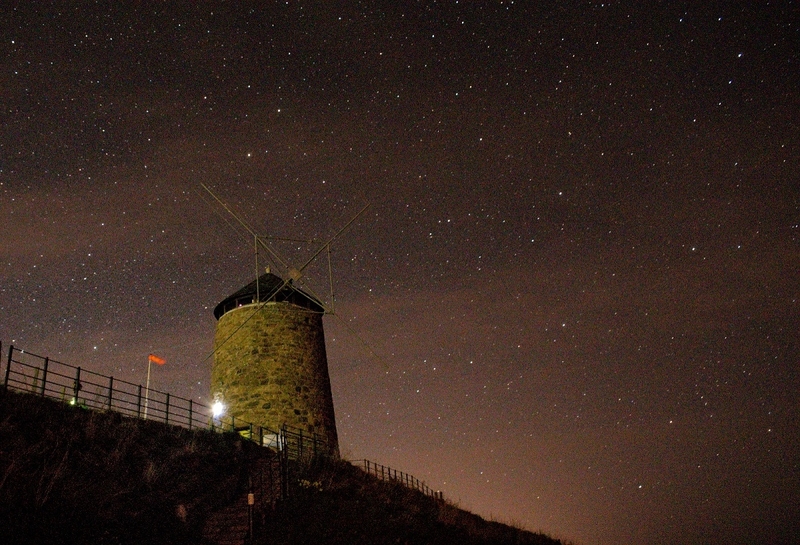 One of my bets friends (who, unlike me, is actually a photographer) and I have been looking for a chance to pop down from Edinburgh, camp and shoot the stars. It's high on the bucket list! 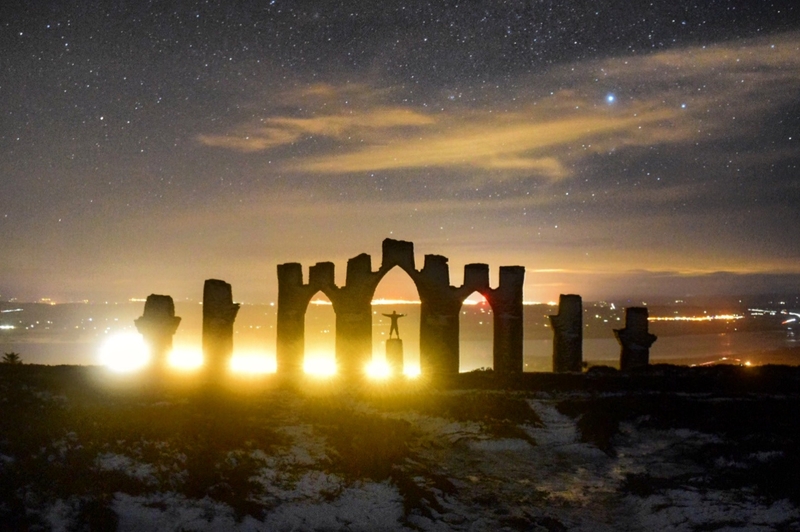 The stars behind Fyrish Monument, near Alness, Highlands of Scotland. I love it up there. If you shoot your photo the other way you won't have any light polution, but I actually really like the town lights in the background of this one. This was taken near Mount Eagle, which is the highest part of the Black Isle (just north of Inverness), which I've found to be an excellent close-to-a-city venue for star snaps.